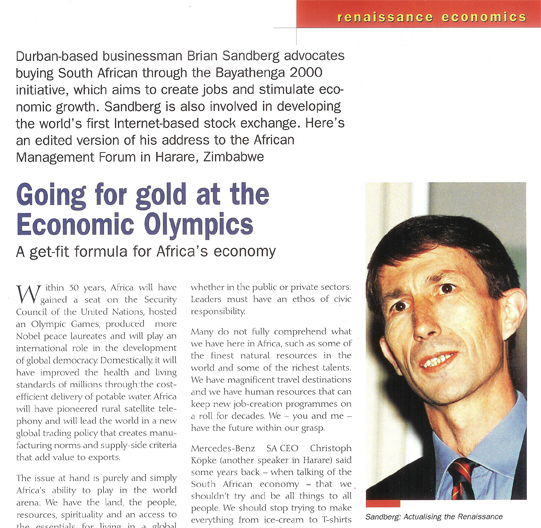 My name is Brian Sandberg and I live in Durban, South Africa. 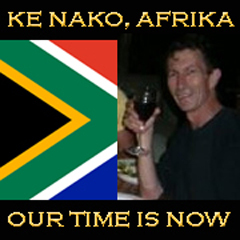 Having grown up in Zimbabwe (where I was born in 1953), I finally moved to South Africa almost 35 years ago, as I had been educated and started my working career in this country. Those who know me say that I can be a little ‘obsessive’ over causes that concern me. However, I prefer to to say I am deeply passionate about many issues. Probably the front-runner is countering ‘Afro-pessimism’, but not far behind is human and environmental rights. 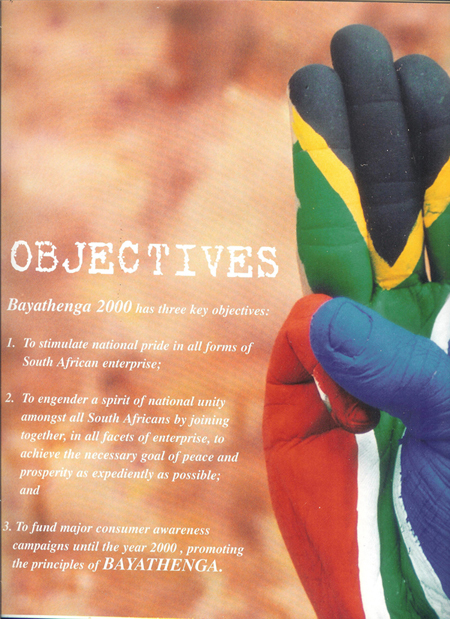 I am on record for helping create what is now well known as the PROUDLY SOUTH AFRICAN campaign, through an NGO I set up and ran for many years, called BAYATHENGA 2000. (See media scans below.) This informs anyone over my current ‘Afro-positivism’ campaign. Viva AFRIKA is my own word-space in a world of cyber-media, where I comment and engage others on matters that are very near and dear to me. I will always to try to be as objective as possible, but readers should never lose sight of the fact that I ‘wear my heart on sleeve’. This little space does not permit ‘hate speech’, intolerance, racism, sexism, religious or other spiritual idealogy promotion, or even sexual preferences. I reserve the singular right to edit any content that I believe infringes my own personal beliefs and values. I hope it speaks to my personal ethos. I hope it better informs you of my pan-Africanist position. 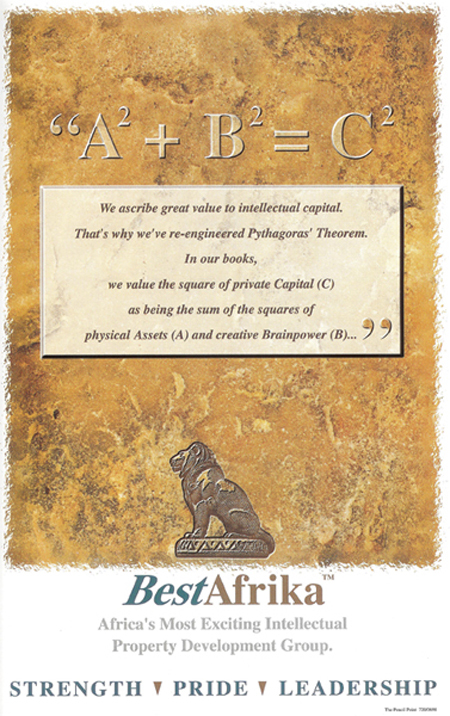 This speaks to my passionate belief that physical capital and intellectual capital (knowledge) actually need to combine more for Mama Afrika’s economic development. 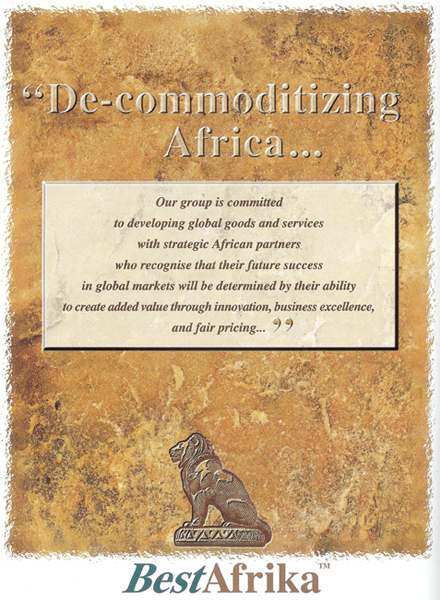 Hopefully, this better informs about my belief that Mama Afrika can add far more value to world affairs than simply its rich, natural resources of precious mineral and energy commodities. 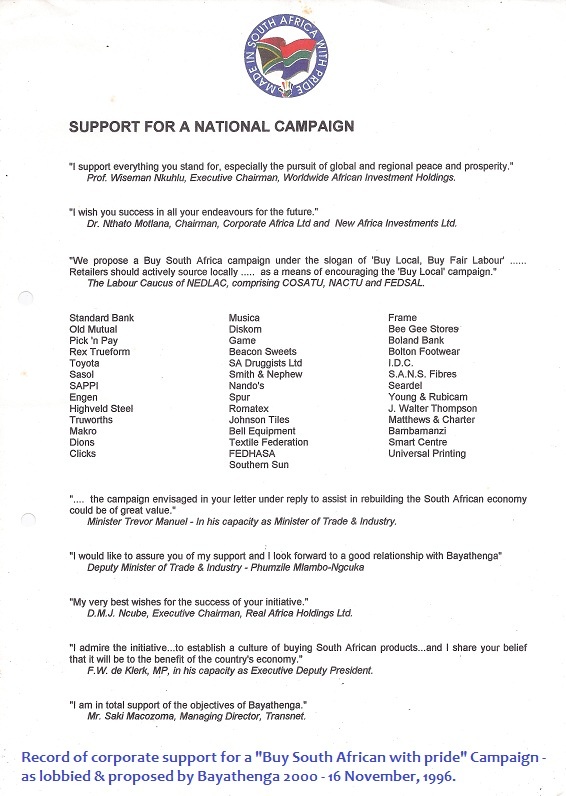 Copy letter from former Deputy-President F W de Klerk, in respect of his support for a “Buy South African’ campaign. I am a simple son of modern Africa. 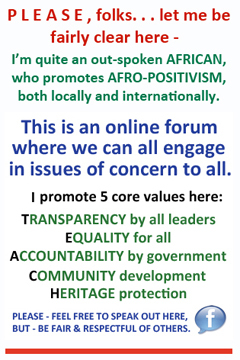 I’m a 4th generation child of men and women that have sought – rightly or wrongly – to build a better life for all in Afrika. My Euro-centric roots inform – from Norway, Scotland and England – and my African brothers and sisters of traditional heritage bring a peace and purpose to my soul. This profile is not intended to do anything other than to verify that I have valid and clear opinions which have stood many tests, in many spaces. 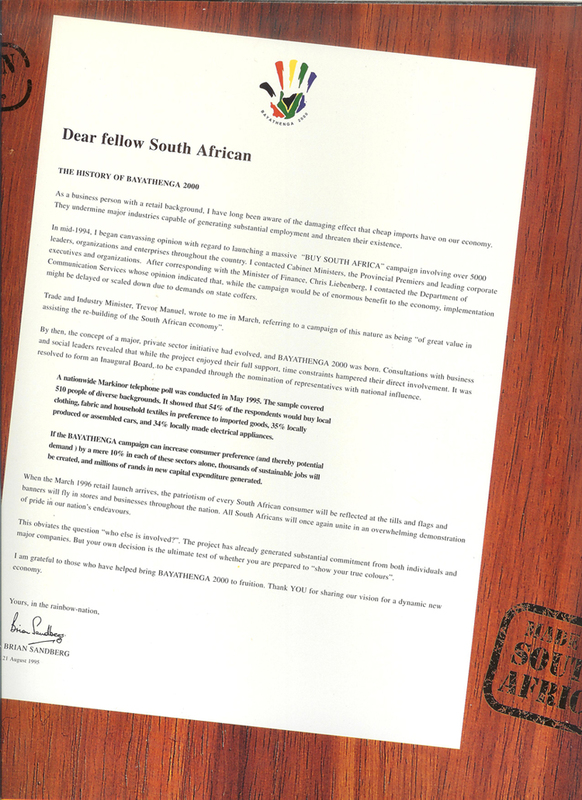 Hi there Brian, Just love your endeavours and commitment to our beautiful continent. I have tried, in vain, to humbly ask you to add me as a friend to your fb page. I’m able to see, like and share many of your comments, but am unable to make comments. Gawd – such a dear old friend…and seemingly neglected !! You can rest assured I will continue to follow your postings, as I share many of your sentiments. I love my country with a passion – in spite of all its problems. As of today,2/12/ 2012, a FB friend of mine Cary Lane [of SA] recommended you to me because of my concerns regarding the uptick in rhino poaching in SA the past year and currently there! As an American concerned with this as you on this,I am contacting my elected members of Congress, [ one already signed on with me and conveyed message to the SA Ambassador in Washington,DC],and also SA Government Officials including Pres.Zuma!Just a thought to you,how about a international campaign sending Chief Buthelezi in Parliament ,[ a known Wildlife protector and conservationist in Zululand and not a real close friend to the ANC in power in SA!] ,our concerns,etc about this heinous trade of rhino poaching and the growing Chinese influence in SA politics there? With this ,maybe besides pressure on Zuma to protect rhinos there ,a public venue in the SA Parliament can take place ,with media broadcasting it over the world!Just an American, with my 2 cents !Thanx ,have a good day! Hi Bill & thanks for taking the time to post your thoughts. Growing awareness & pressure is vital in our battle here, so I’m grateful for your actions, as I would imagine millions of others here would be too. 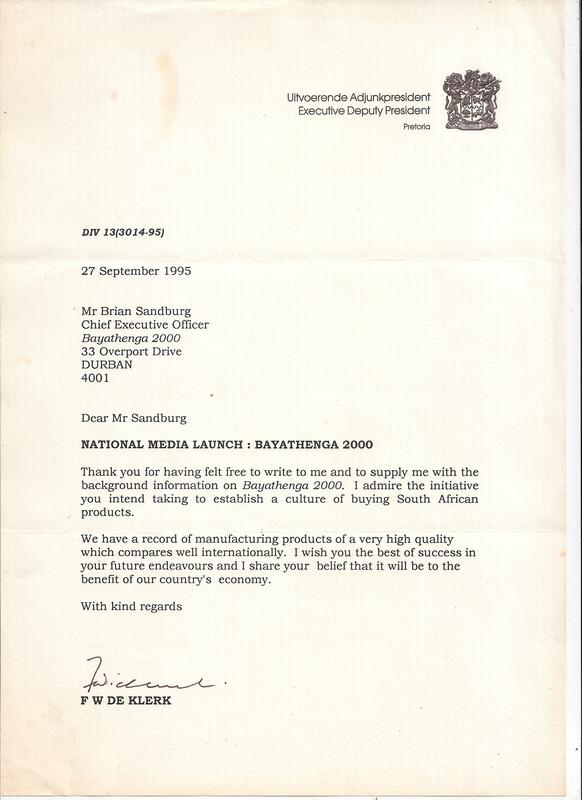 However, I’m not sold at all on your idea of approaching Prince Buthelezi at all. I believe such a move would be far more polarizing than unifying, nationally. I also don’t understand why you (and many others – both locally & internationally) are somewhat fixated on speaking to, and working with, anyone or any group that is non-ANC. There are dozens of reasons why this bloody war has escalated and any successful solution must understand the complexities of everything. It has come to our attention that this post with our URL that belongs to us, registered to us, that we own you have still not removed along with other details that hosts “lies, slander, defamation and copyright”. I must also tell you that what others have said regarding myself being on some “phoney” arrest warrent by Interpol as said by the raging Marrianee and co is nothing but utter lies. You have 24 hours to remove this post, all screenshots have been taken. Should you wish to not remove it and all “slander” regarding the International Animal Rescue Foundation then we shall moveward for the action of a court order in having this removed sooner rather than later. Terry Bengis and your wall posts I will say now sir should you slander me “with the new censorship bans” coming in to force then it could result in you and your site’s being shut down. We can do this the easy or hard way. Your choice. I am not going to waste my time with you and your posse of online crew mates. You have my property on a host site your using that does not belong to you. The T&C of the site clearly state about copyright from which you have breeched [grosly].. Please also feel free to provide the account of abuse 5 times a month, when frankly I would not waste my breath nor the time talking to you, however should you not remove MY property from your site in due course as said now in 24 hours then a full legal document shall be sent to Word Press. Carry on abusing my name after October and I will look forward to wasting my breath and money on you in a court. Should Terry wish to see a copy of the court orders he is more than welcome to do so. Should I see anymore slander on your Facebook page I will not hesitate in reporting it. You may be in South Africa but I can travel very easily, and I will defend 100% every right, name, url, and everything else we own. I could not care less if you have letters addressed to the Sheik you are breaking the law and that I will not tolerate. You have been given 24 hours to remove the deflamatory remarks if you do not, then fine. We will for you. PS, you have also broken other rules on this site by taking a screen shoot of the URL and DOMAIN along with the column box “below” that states in all wordpress docs that “no address, email, domain, will be made public, you have broken censorship rules. Talk and banter as much as you wish sir. You have broken the laws of a site that 1) does not belong to you and 2) the site is being hosted to you not BY you 3) giving out personal data 4) showing personal data 5) copyright infringment 6) slander 7) defamation 8) libel. A threat is a lot different to that of the letter[s] email[s] that I am sending to you now. I will also contact Facebook copyright and law department to have that post removed of your wall. If it is not removed I will take that futher too. I do not have time to sing songs and banter with people drinking cheap wine and bloging crap on news sites I have much more better things to do than waste my time with you. But I will waste if it has (MY) property on. I find Terry rather sly too, he has signed a petition calling for the ban on Rhinoceros horn to stay down yet has said it should be lifted, the man does not know what he wants half the time. I’ve approved this polemic diatribe of yours, yet again, in the interests of transparency in this complex matter. I find it very strange, if you are to fight for your principles of dignity, copyright ownership and more, that you post here again under yet another “pseudonym”. Surely, if you were a credible regional and/or global player, you would have posted again under the same name as your threatened post that I approved yesterday? I, like many others, have reported your abusive online behaviour to our law enforcement agencies here in South Africa. I understand that they have knowledge of similar complaints via the FBI, Interpol and Europol. However, as I understand matters, the collective, reported information is that you are untraceable. Well – I, for one, would welcome my day in court with you, so that those countless people whom you’ve abused online, globally, can see the face of their cyber-attacker. If I must be a guinea-pig for any kind of defence of yours in fighting for a seemingly twisted value-system, then so be it. (BTW – Brian is the same name and profile that I used yesterday. And the day before. And last year, at this time. And before that. Shona – hi … and so sorry my Viva Afrika blog is proving a “pain”. Whilst you might have clicked the “Notify me …” the default (unfortunately I can’t change the way WordPress works) is automatically set to “subscribe” as well. I’m sorry it’s taken me a couple of days to revert, but I needed to go to their Help desk. Meantime – thanks for your interest and support over the issue that caught your eye!